Earlier today at Microsoft Ignite, Microsoft announced Windows Server 2016 (see earlier posts). 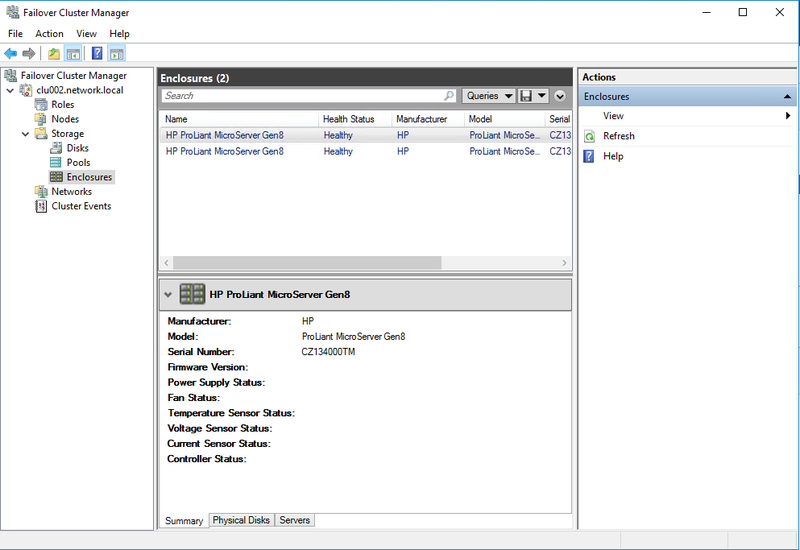 I was curies to see if it was possible to install Windows Server 2016 Datacenter, using Hyper-V and Storage Spaces direct to build an Converged Hypervisor based solution on 2 HP ProLiant Microservers and it did work. It is not usably in reality, since the servers are not suitable as Converged Hypervisors, but it works, and it is so fun to play with. 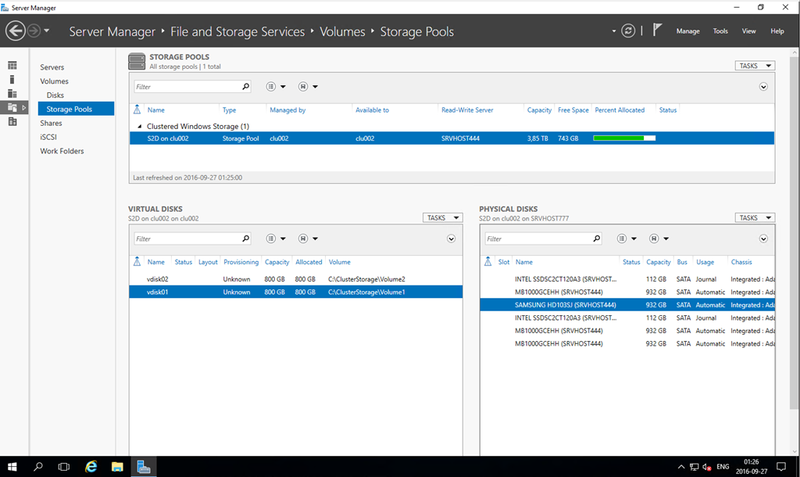 Storage Spaces Direct in Server Manager. 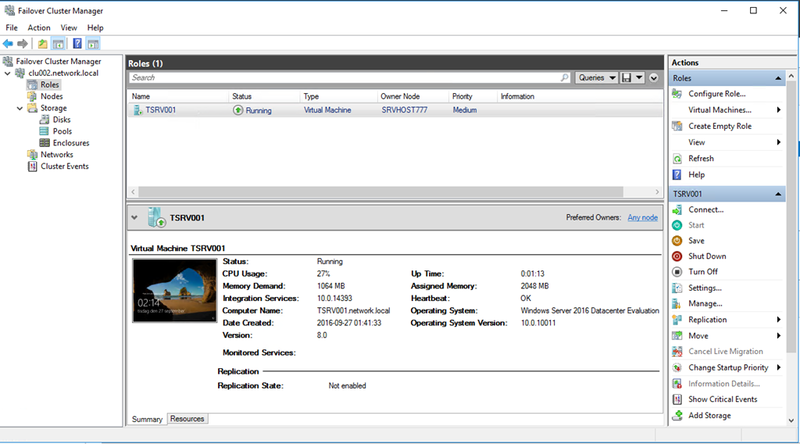 The Enclosure View from Failover-Cluster manager.